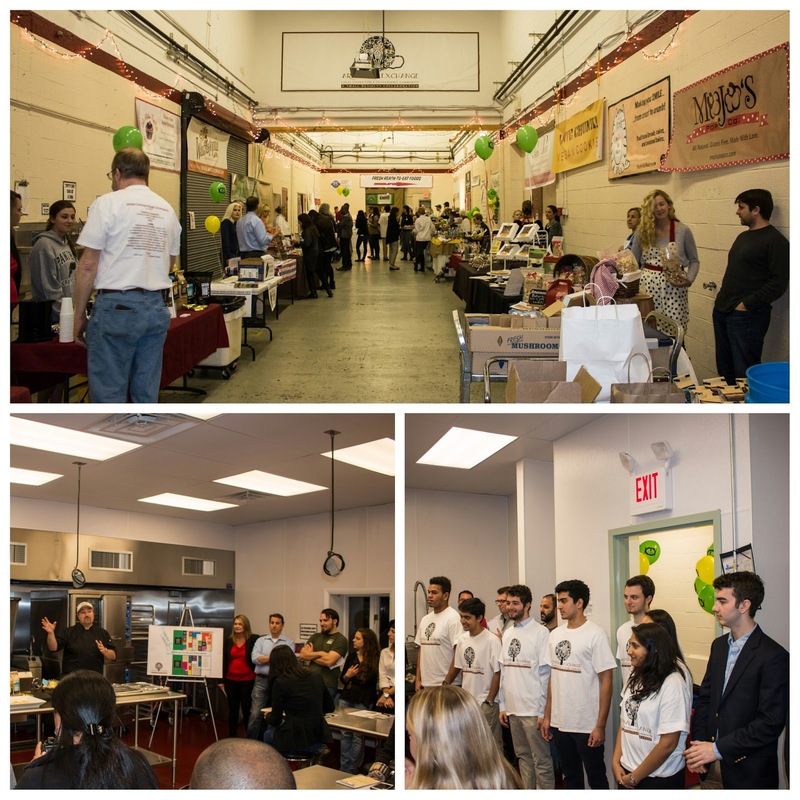 As part of their business curriculum at Wharton, students have the unique opportunity to work with local businesses to apply their education to the real-world. 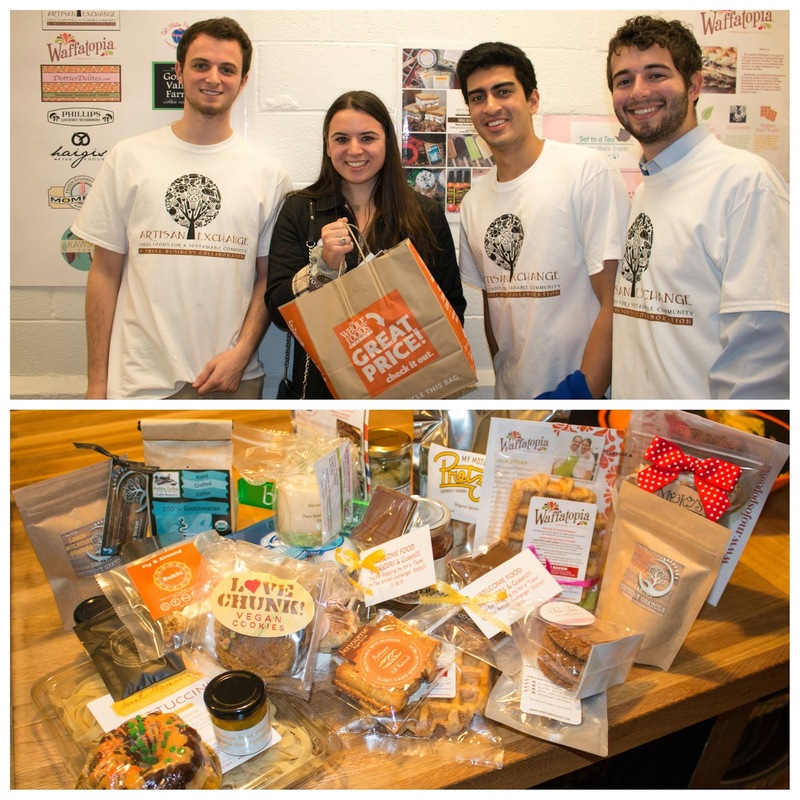 One of these partnerships is with Waffatopia and the Artisan Exchange, a food incubator and artisanal collaborative located in West Chester, PA. In an effort to showcase the stories of over 20 individual companies at the Artisan Exchange, the students reached out to a number of Philly-based food bloggers. Brian from Waffatopia generously picked us up from 30th Street Station. During our ride over to the Artisan Exchange, I was amazed with his backstory. Clearly passion was the driving force behind his transition to producing specialty waffles, as he gave up a burgeoning career as a biochemist/microbiologist after a business trip in Belgium. There, Brian and his wife, Andrea, fell in love with Belgium's Liege waffles and the rest is history. Once at the Artisan Exchange, a literal red carpet welcomed us into a crowd of artisans. We were treated to a bit of history behind the exchange as well as some feature vendors, who allowed us to sample their products. First up was none other than Brian. He explained that in addition to the great products produced by each of the companies, it was really more about the partnerships between all of the artisans. Whether it's getting help with the production and manufacturing process (who knew obtaining a simple barcode was that difficult?) or selling their products on one individual invoice managed by the Exchange, it truly highlighted how important collective bargaining can be for small businesses. 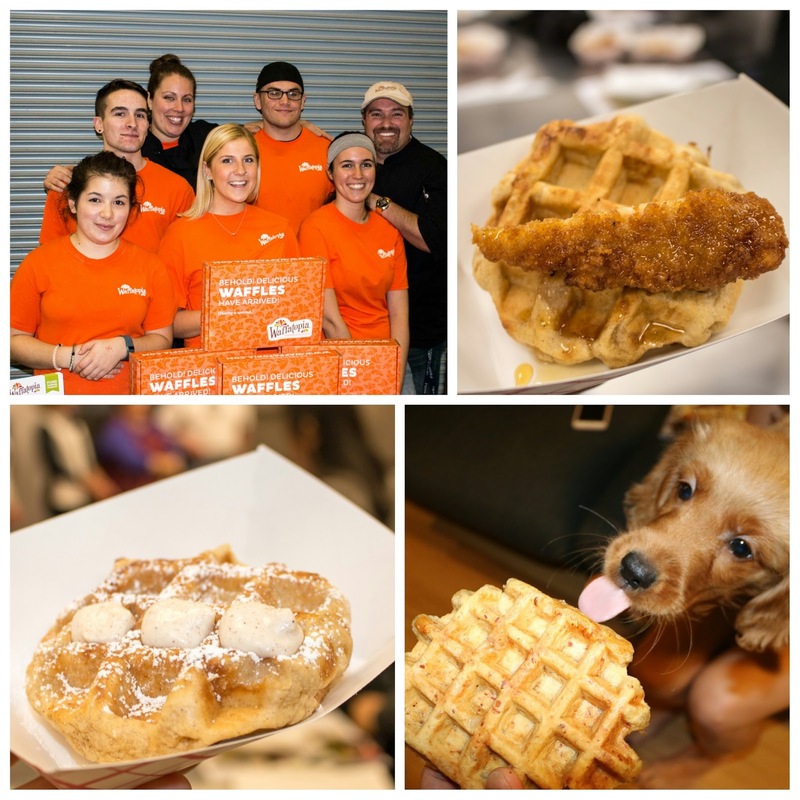 They also have partnerships with the Brandywine Valley Tourism Bureau, which was how Waffatopia was featured on Food Network's Great American Food Finds, coincidentally hosted by Philly's Erace brothers. But let's get on with the food, because I know that's why you're all really here! Waffatopia had two offerings for us to sample. The first was their Belgian Liege waffle topped with Whole Foods fried chicken and Taste Artisanal Market's Calabrian chile honey. The waffle had wonderful texture - it truly is all about the hard-to-source pearl sugar! Their other offering was a cinnamon vanilla waffle stuffed with dark Belgian chocolate and topped with pumpkin spice ricotta. Perfect for those with an especially sweet tooth! 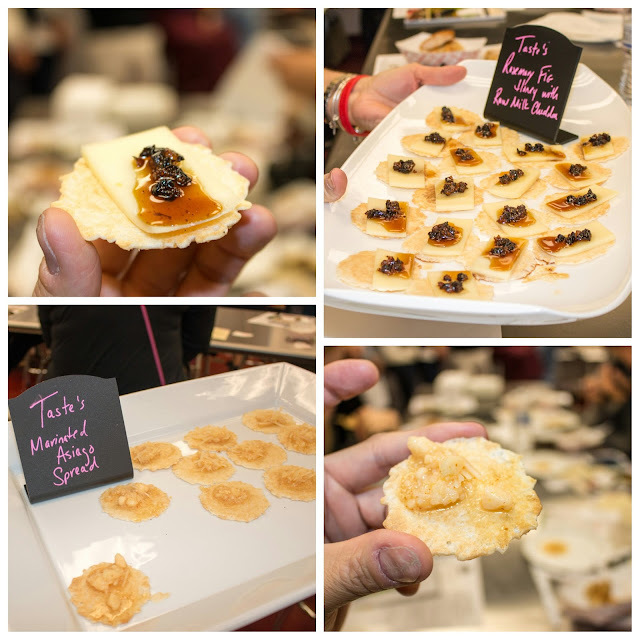 Taste Artisanal Market brought out some wonderful pairings to highlight their cheese and infused honey spreads. My favorite was definitely the rosemary fig honey with raw milk cheddar, which had a great funk from the sharp cheddar that was balanced by the herbaceous, sweet honey. 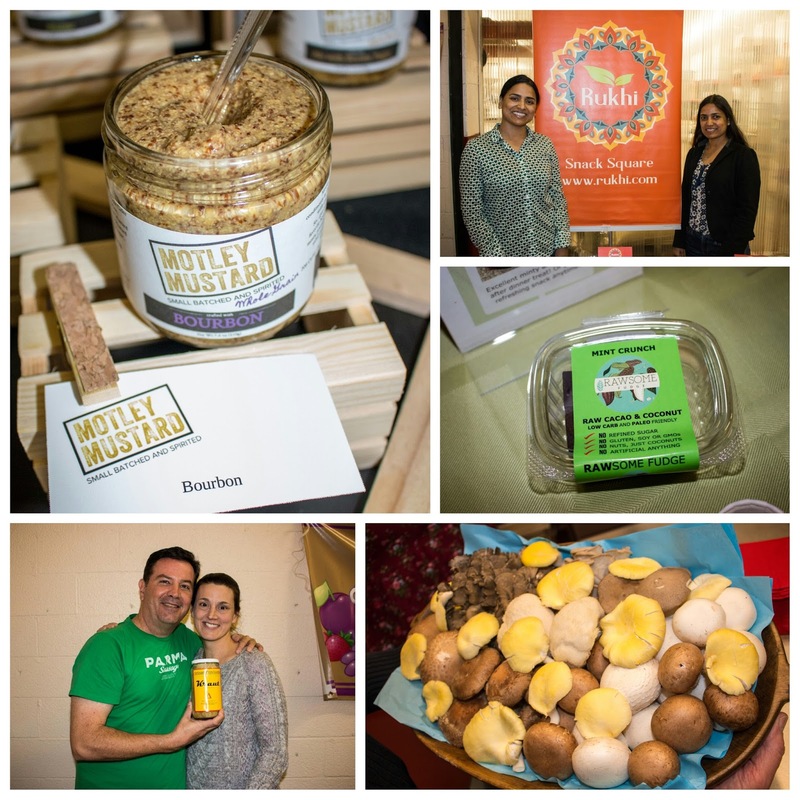 Motley Mustard, Rukhi Snack Squares, Rawsome Judge, Phillips Mushrooms Farms, & Artisan Provisions. After a few other featured speakers, we were invited to head to the area where the vendors are typically stationed during their Saturday market. FYI - it's open year-round from 10AM to 2PM. I was able to hear quite a few unique backstories and sampled all of the artisanal goodies. 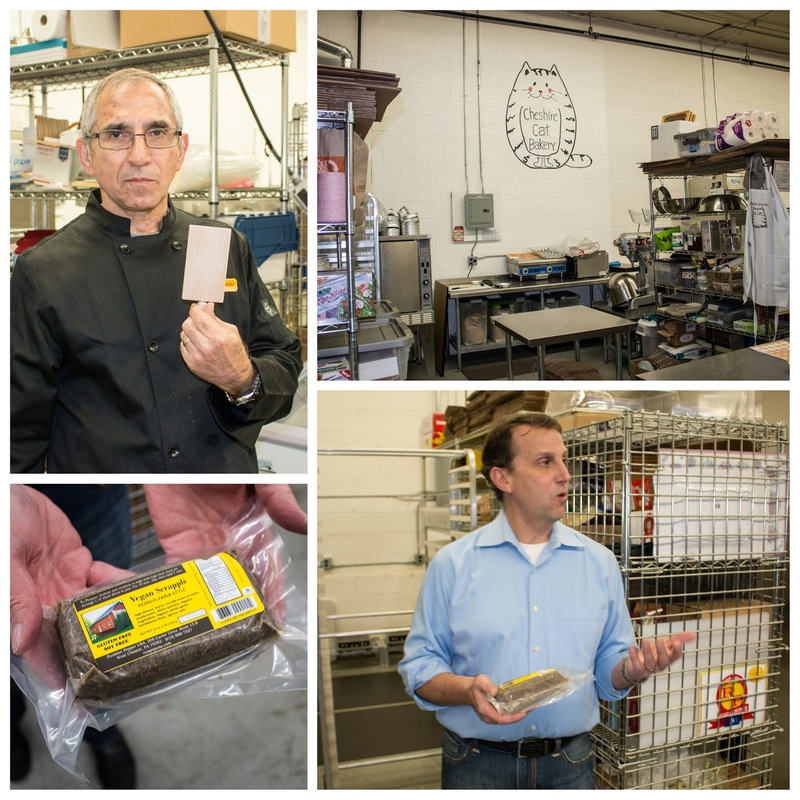 Bourbon and mustard from Motley Mustard? Wonderful pairing with the sweetness of the bourbon marrying well with the bite of stone-ground mustard. 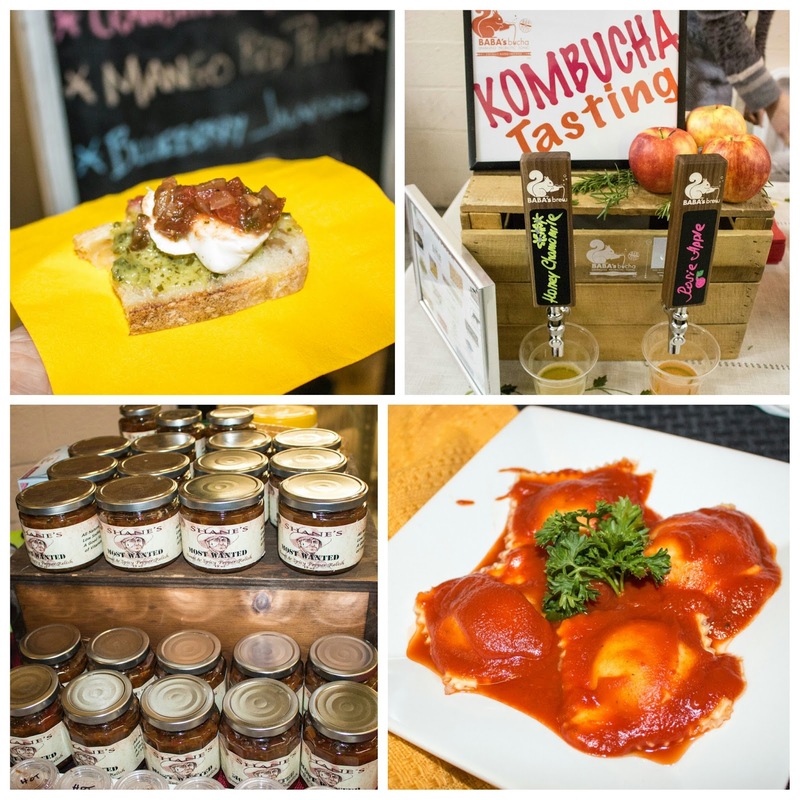 Artisan Provisions highlighted their love for natural pickling, with their own takes on sriracha, kimchee, and kraut! And can you believe the gorgeous mushrooms from Phillips Farms? Loved the all-natural energy bars from Rukhi and the delicious, yet vegan chocolates from Rawsome Fudge! One of my favorite tastes was from Heirzoom Bakery. 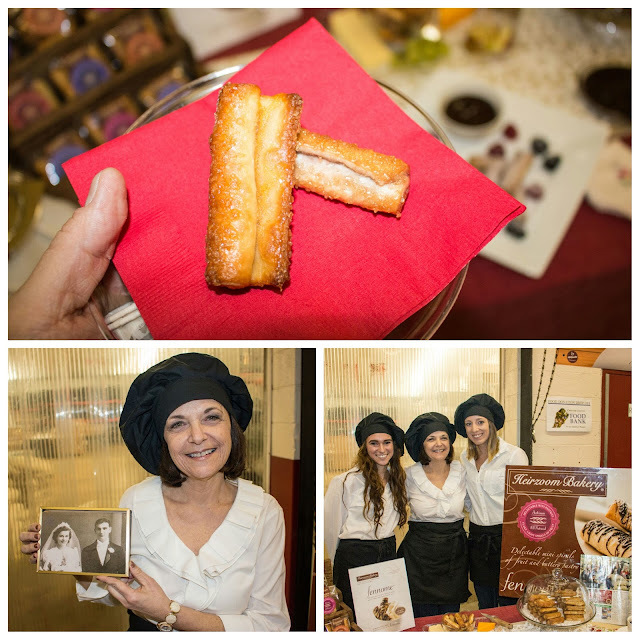 Their trademark fennome pastries were crisp, buttery, yet wonderfully light delights. Even lovelier was Diane Holtaway, the founder, who highlighted the heirloom Hungarian pastry recipe passed down through the generations. Saucy Sue's showcased several of her chutneys, of which I enjoyed a tomato onion chutney, paired with pesto and mozzarella. Olga from Baba's Brew regaled us in a tale about how her family didn't have the luxury of soda back in Russia. So they turned to Kombucha and fine-tuned their recipe to develop a brew that was refreshing and surprisingly light! 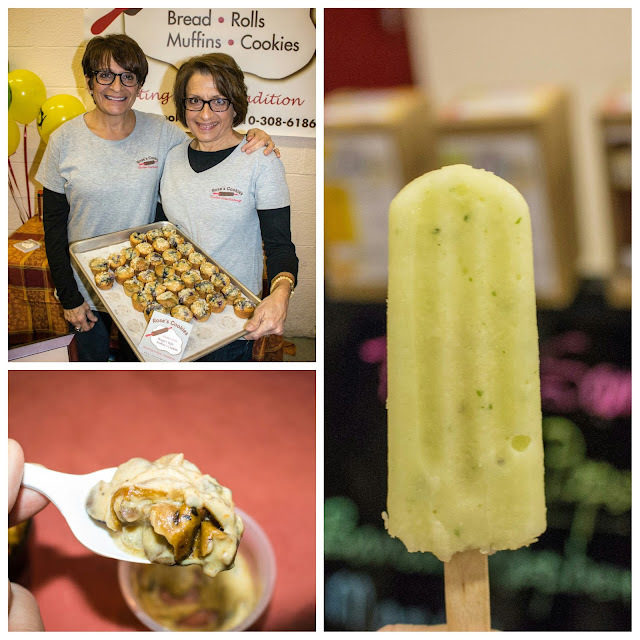 Aunt Mamie's Italian specialties highlighted their fresh, hand-made pastas with several offerings including ricotta gnocchi and a prosciutto ravioli. One of my favorite tastes of the night was Shane's Most Wanted, which had a lineup of various sauces and relish, including a spicy sauce that had a nice bit of heat. The spicy relish was my favorite - I can totally see myself putting it on pretty much everything. Maureen Jo and her daughter offered up some wonderful toffee popcorn and Love Chunk's vegan cookies were surprisingly moist and sweet. iSwich Gourmet had several ice cream sandwiches to sample. The bananas foster was amazing - the rich, caramelized banana flavor was undeniable. Looking for a low-calorie, 100% vegan, gluten/dairy/peanut/GMO/soy free dessert? Mompops has got you covered. They had a myriad of flavors on offer - I enjoyed the refreshing pineapple basil. Wilson's Curiously Good Foods had a butternut squash pomegranate soup and a mushroom soup that was redolent with the essence of Phillips Farms' mushrooms (there's that collaborative spirit!). Mike of Aunt Mamie's Italian Specialties with his Gnocchi Board, Cheshire Cat Bakery's Culinary Facilities, Frank Baldassarre [Co-Owner, Founder of The Artisan Exchange], & Long Cove Foods' Vegan Scrapple. And from there, the night was over, but the Artisan Exchange wasn't done with us just yet. They sent us home with a hefty bag of goodies to enjoy. 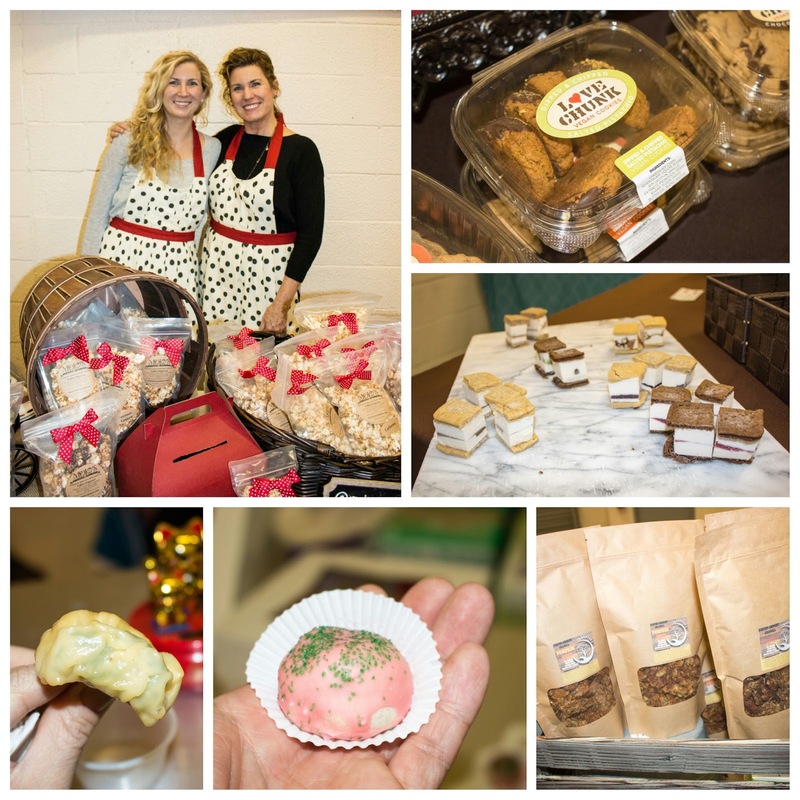 The wide variety of products truly showcases the different vendors that the Artisan Exchange works with. I'd highly recommend making the trip out to West Chester to enjoy their Saturday market. These artisans have put it all on the line to pursue their passions and it clearly shows in the products they make.